As 2010 comes to a close, we’re joining the throngs of the internet and posting a “Year in Review” post. Let’s take a look at 2010 and a look forward for 2011. 2010 was a great year for ACF. Having just moved into our new Trinity offices towards the end of 2009, the beginning of the 2010 we were still getting settled into them. Even though we consolidated from 2 offices to 1, we all have much more space and working in one location has helped with productivity. We got to work on some great projects this year and developed relationships with some new amazing clients. We’re thankful for our clients and happy they chose us to help achieve their own business success. We’re excited to be working with them in 2011. Our president Adam and his wife Angie welcomed their first child, which surely has been the biggest event for them this year. As cliché as it might sound, he really is a little bundle of joy! When he makes his appearances at the offices, it instantly puts everyone in a good mood! Congratulations Adam and Angie! Looking forward, 2011 looks to be a very promising year. We’re looking forward to working with our current clients on exciting projects and welcome the challenges new clients will bring to us. We have several goals for the new year. In 2010 we began our weekly blog to help educate and inform about our areas of expertise. It was met with such great response that we are now looking forward to increasing that effort to empower all of our viewers to make education decisions in the areas of IT, Development, Websites and Marketing. This coming year, you can expect more blog posts an involvement with social media. We invite you to contribute to the community. 2. Help our clients manage their online presence. Website maintenance has become more time consuming, especially with social media and blogging becoming bigger and more important than ever. In 2011, we want to help our clients manage their online presence by helping them with everything from website maintenance, copywriting, SEO, social media campaigns, and general online marketing. Thanks to our wonderful clients we have enjoyed great success in 2010 which is allowing us to grow in 2011. We look forward to hiring new developer and IT technicians in the new year. Our staff has so much to offer and so many interests, we look forward to spending our time in service of the community in many ways. We wish everyone a very Happy New year. 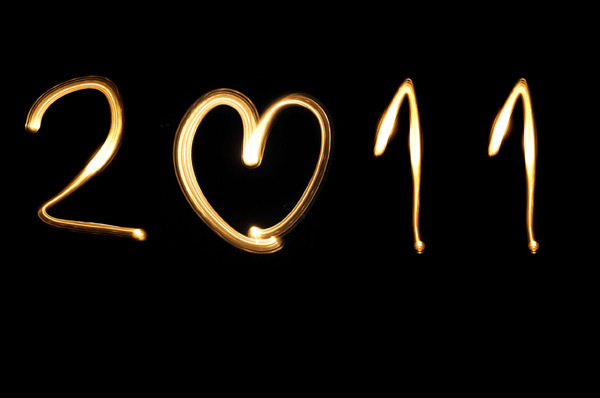 We can’t wait for 2011!